Kim and Gornick spent a few days emailing back and forth about their books, looking at how they build the intricate structures of their stories, their sources of inspiration, and approaches to understanding the psychology of their characters. First, congratulations on Miracle Creek, your debut novel. I read it in two days, torn between racing to figure out the mystery and slowing down to appreciate the complexity of the characters and the moral dimensions of the vivid world you’ve created—literally with maps and charts and diagrams. The last legal thriller I read was Presumed Innocent, which I also loved, by Scott Turow (who gave you a magnificent review! ), and now I’m wondering why I’ve been depriving myself of this genre. 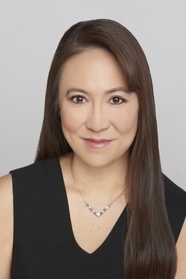 But your novel is so much more than a thriller; borrowing from the language of the hyperbaric oxygen therapy, HBOT, at its core, it’s a deep dive into two cultures: the Korean-American immigrant experience and the culture of mothers with special-needs children. Let’s begin, though, with the book’s structure: opening with the explosion of the HBOT chamber. It reminds me of Russell Banks’s The Sweet Hereafter, where the tragedy is also the starting point, with the novel then unfolding through the point of view of a handful of characters. In a recent episode of The Book Review podcast, Kate Atkinson talked about how she commits first to a structure, with characters and plot coming later. For Miracle Creek, when in your writing process did you settle on the structure? Once I made a choice, though, my structure was fairly straightforward: explosion, then a one-year jump to the four-day murder trial. The Peacock Feast’s structure, on the other hand, is a dizzyingly complex masterpiece that ping-pongs between the present (2013), when 101-year-old Prudence meets her grand-niece Grace, and the past, which starts in 1914 and follows Prudence and her family over the next century. It’s truly an epic saga, but told with so much care, with such intimacy, that we never get lost or confused in the transitions between past and present. How did you manage this feat? When in your writing process did you decide on this back-and-forth structure? What a pleasure to read your email and see writ concrete what I’d only sensed before: the similarities in our writing processes. What a pleasure to read your email and see writ concrete what I’d only sensed before: the similarities in our writing processes. I’d hesitated about mentioning The Sweet Hereafter because I worried it might seem tangential, and I have goosebumps now reading about its role in your process. It doesn’t surprise me that we both—you as a once-practicing lawyer and me as a once-practicing psychologist—view structure as what you call “foundational”: you can’t fully appreciate a legal situation or a suffering person without conceptualizing how the parts make up a whole. Nonetheless, I do treasure having long periods of what you so aptly call freewriting. Unburdened by the pressure of thinking I’m actually writing, many pages of notes about personalities and settings and eventually scenes in which characters begin to talk to one another are created during those months—sometimes years. Then, at some point, as you did, I have to step back and make hard decisions about how to craft this particular book. The Peacock Feast is structured around three strands, each of which unfolds chronologically. The first strand, as you noted, stretches over a week in 2013 during which 101-year-old Prudence, living alone in Manhattan, has a series of visits with Grace, the granddaughter of her brother with whom she lost touch after he left home at fourteen. The second strand is Prudence’s story, which begins with her earliest memory of a parade of girls carrying roasted peacocks on silver platters and continues over the century span of her life. The third strand picks up Grace’s grandfather’s story after he left home, following his life, then his son’s, and finally Grace until she decides to find Prudence. Once I had the image of how the strands could ultimately converge in time plaiting together to form a single braid, I never felt lost—and I’m gratified to hear that you didn’t either! Tell me about Shannon and how you worked out her strategy and arguments. I’m so happy that you asked about Shannon because hers were the scenes I had most fun writing! I’m a slow writer; it might take me many days and pages of writing to discover the right sentence to begin a new scene, and I might spend an hour deciding whether to delete a comma. But when I got to the trial itself—whether it be the prosecutor’s opening statement or Shannon’s cross-examinations designed to trap the detectives into admitting that their investigations were shoddy—I wrote quickly, with no hesitation. My favorite part of being a litigator was questioning hostile witnesses. Trying to figure out their motivations in saying what they said, the psychology of it, and using that analysis on the spot, real time, to craft the next question and the next. To capture this sense of spontaneity, I prepared an outline of the points the lawyers would want to make, and then let go and wrote without stopping, without questioning word choices or plot implications. It felt almost like being back in court, except so much better because I could have the witnesses say what I wanted them to say—a litigator’s fantasy come true! I felt comfortable taking those liberties within the confines of Miracle Creek’s fictional town. 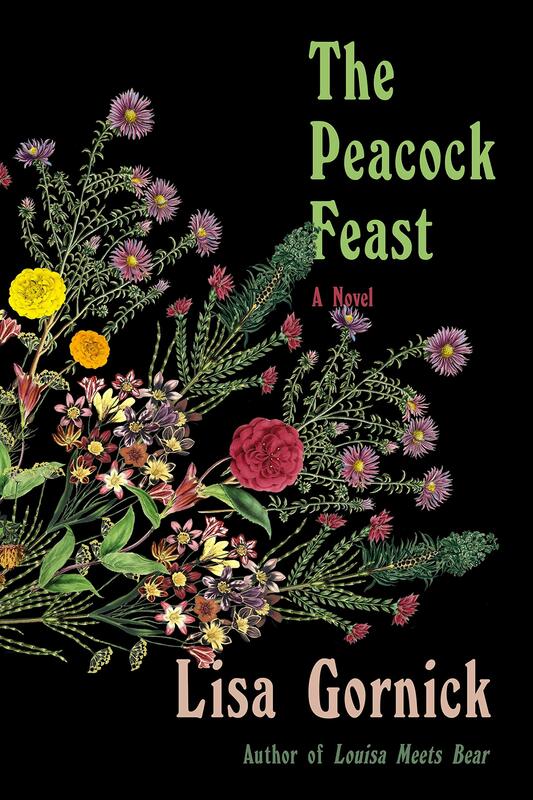 The Peacock Feast, though, is historical fiction, with real-life, famous figures such as Louis C. Tiffany (of the Tiffany lamps) and Anna Freud, as well as historically significant places connected with their families. How much research did that require, and how did you handle the difficult task of remaining true to historical facts yet adding such vivid, rich details? The titular Peacock Feast, for example: your book contains a photograph from a 1914 copy of The New York Times of five girls holding platters of roasted peacocks and bouquets of their feathers (! ), but your characters’ accounts of that feast are far more detailed. How did you create this sense of authenticity? I’m not surprised to learn about your psychological bent as a litigator; it’s in full display in your novel: your depiction of crippling shame in so many characters, your understanding of a mother’s anguish as her teenaged daughter takes distance from her, and your fearless yet sensitive handling of so many taboo topics: the hatred and death wishes even the most loving parents can feel for their children in trying times, the competitiveness that can undergird even the most supportive of friendships, and the dynamics of a sexual encounter between a teen and an adult. And now I’m experiencing that psychological astuteness in your question about the photograph, which was, in fact, the stimulus for my novel! I first saw that photo, taken at Tiffany’s Peacock Feast, at a Metropolitan Museum of Art exhibit about Laurelton Hall, his phantasmagorical Oyster Bay estate. Tiffany, who I’d mostly associated with the kitschy décor of themed ice cream parlors, I learned, had lived numerous artist’s lives, from critically acclaimed painter to interior decorator for Chester Arthur’s White House to innovator of glass techniques he used in works of surprising abstraction. Reading that three of the girls in the photograph were Tiffany’s daughters, I was seized with curiosity about the man who created this scene, a kind of performance art, as beautiful and cruelly bizarre as a dark fairytale. Did I unconsciously know that one of the girls was Dorothy Burlingham, Tiffany’s youngest child, who after escaping her manic-depressive husband would become Anna Freud’s partner for nearly half a century? I cannot say, but with my background as a psychoanalyst, it was one of those uncanny discoveries that make a subject feel as though it is yours. I’d never written “historical” fiction—though, as our uber-smart editor, Sarah Crichton, pointed out, my novel is equally contemporary with one of its three strands set in this decade and a good portion of the rest taking place from 1963 onward—which raises the question of what is “historical.” I simply assumed that I must abide by my best understanding of what actually happened—and with that premise, spent a great deal of time studying photographs and architectural drawings of the Tiffany homes, and researching the lives of Louis C. Tiffany and Dorothy Burlingham, the history of interior decoration, northern California in the 1960s, and the death penalty in Texas in the 1980s. What was more complicated, but also came more naturally to me, was creating a picture of the internal worlds of the historical characters such that they could then interact with my fictional characters. Turning back to Miracle Creek and some of the challenges you must have had, tell me how and when you worked out the labyrinthine plot. There are so many chronologies: the events that lead to the explosion, the steps taken to cover them up, how the characters’ understanding of the events unfold in different ways, and the twists of the trial. How did you keep track of so many threads as you enticed those involved with the accident and attorneys and readers into cul de sacs, the true story not emerging until the end? I love when “coincidences” strike, such as your discovery of the connection between the girl in the photograph to Anna Freud, to whom you, in turn, are connected by your studies. Another coincidence: one of your characters is on death row in Texas, and I studied and analyzed Texas death penalty cases as an intern at the NAACP Legal Defense Fund! From what I know, you’ve done an amazing job portraying the experience of being a death-penalty inmate, as well as the details involving Texas’s execution methods in the 1980s. And again, your experience as a psychotherapist shines through, as I marveled at your searing and insightful portrayal of the anguish, guilt, and fury experienced by those witnessing the incarceration and execution—murder, in their eyes—of their loved one. Turning to your question—ah, plot! I wish I could say that I had it figured out from the beginning, tightly outlined, but the truth is, I only had the vaguest idea of who caused the explosion of the HBOT chamber, much less how and why, until much later. It was an iterative process, in which I began with a broad outline, wrote, returned to the outline to revise and add, wrote some more, outlined some more, and so on. The first version of my outline bears almost no resemblance to its current incarnation. The iteration continued even after I finished the first draft, through multiple revisions, with my using color-coded charts, chronologies, timelines, outlines, and maps to keep the various threads straight and reconcile conflicts. You should see the walls of my tiny writing nook; they’re covered with charts and pictures with colored-pencil scrawls and arrows indicating changes everywhere. It looks a bit like Carrie Mathison’s crazy evidence wall in Homeland. You should see the walls of my tiny writing nook; they’re covered with charts and pictures with colored-pencil scrawls and arrows indicating changes everywhere. Speaking of plot, I have to hand it to you—I did not see that bombshell coming at the end of The Peacock Feast. It’s fascinating that your book is not billed as a suspense or mystery, and yet, throughout the story, I somehow knew that something significant was waiting to be uncovered, some deep secret behind the seemingly inexplicable (and sometimes maddening) self-destructive behavior that Prudence, her parents, and her brother display. And when the truth finally comes out at the end of the novel—oh, what a moment! I love twists that aren’t telegraphed; precisely because you’re not expecting it, the presence of a surprise reveal is itself a twist, and the substance of the reveal only serves to amplify the effect. It’s hard to discuss without giving anything away, but suffice it to say that I found your ending most satisfying, and as soon as I finished the book, I turned back to the beginning to re-read it, fascinated to see what I’d missed or misunderstood the first time through. Is this buildup of suspense something you designed at the outset? And the big family secret—is that something that you always knew, or something you discovered through writing? Reading your book, I imagined that you must have had color-coded charts taped to the walls! As for “the secret” in The Peacock Feast: as I mentioned earlier, I’ve not read many mysteries, and yet seem to fall into writing them. When my first novel, A Private Sorcery, came out, I got a call informing me that it was selected for Otto Penzler’s First Mystery Club. “There must have been a mistake,” I said. “My book is not a mystery.” No mistake: because it opens with a crime, it qualified. On a deeper level, though, the classification was apt: that novel, as are all of my books, is at heart a psychological mystery—why do characters act as they do?—and in that sense, my fiction writing is an extension of my prior work as a psychotherapist where that question was always central. With The Peacock Feast, there is also a concrete mystery concerning the day Prudence’s family was whisked away from Laurelton Hall. As the writer, I knew the facts from the outset, but not the reverberations they would have across four generations. Prudence, four at the time, remembers only fragments from the day: the smell of apples in the crate where she’d been sleeping, her guilty excitement at riding in a car for the first time. Her brother, seven at the time, understands a great deal more and his knowledge shapes his life, his son’s, and is then carried in certain ways by Grace, who brings it back across a continent and a century to Prudence for them together to fill in the missing pieces. Alas, I see we’ve reached our word count limit for this conversation—and we’ve only scratched the surface of what we could explore. It’s been such a pleasure, Angie, to have this exchange with you: I feel as though we’ve been roommates for a long weekend, curled up on the couch talking about topics dear to us both. 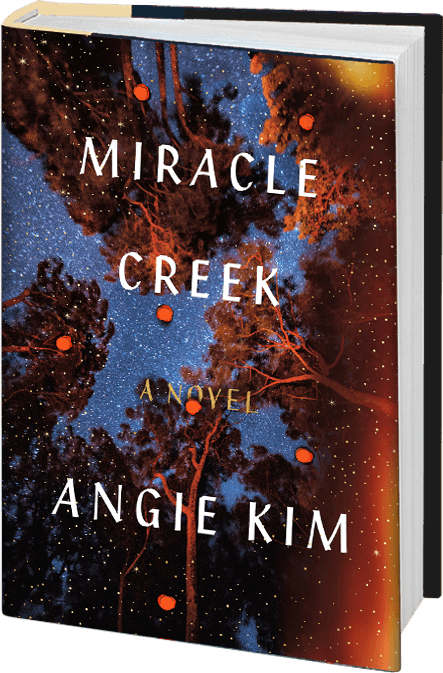 I’m so grateful to have had the opportunity to read Miracle Creek, as I know your readers will be too. Our books are so different in genre and setting, and yet, they share a similar emotional core. It was amazing to bond with you over this all-too-brief exchange. What I find remarkable is that our books are so different in genre and setting, and yet, they share a similar emotional core; they’re both ultimately about how the smallest decisions can have such profound and tragic reverberations on so many people’s lives. At the end of your book, I was left thinking, “If only this tiny thing had happened even a little bit differently, Prudence and Grace would have had such different, happier lives.” This if-only sense of tragedy and regret is something that my characters experience at the end of Miracle Creek as well. As much as I grieve for our characters, I suppose I can take solace in the fact that if it weren’t for their tragedies, their stories wouldn’t have made very good books, our editor wouldn’t have bought them, and we wouldn’t be having this conversation now and the many, many more I know we’ll have in the future. I feel so privileged to have had this early introduction to The Peacock Feast. I can’t wait until February 5, 2019, when I can get my book club and my friends to read it so I can discuss it with them. In the meantime, I’m off to start Tinderbox, your 2013 novel; I suffered horrible third-degree burns as a child in Korea, and since then, I’ve been obsessed with fires and burning (as you can tell from my own novel). And you, my dear Lisa, need to get to work on your next novel, stat, so that I won’t have too long to wait for the next Gornick novel after I finish Tinderbox, Louisa Meets Bear, and A Private Sorcery! 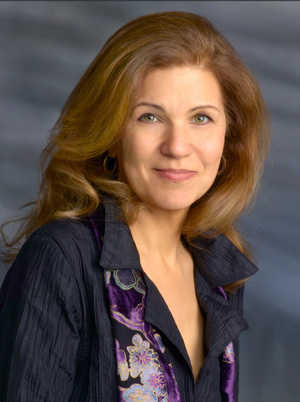 Lisa Gornick is the author of Louisa Meets Bear, Tinderbox, and A Private Sorcery. Her stories and essays have appeared widely, including in The New York Times, Prairie Schooner, Real Simple, Salon, Slate, and The Sun. She holds a BA from Princeton and a PhD in clinical psychology from Yale and is on the faculty of the Columbia University Center for Psychoanalytic Training and Research. She lives in Manhattan with her family.